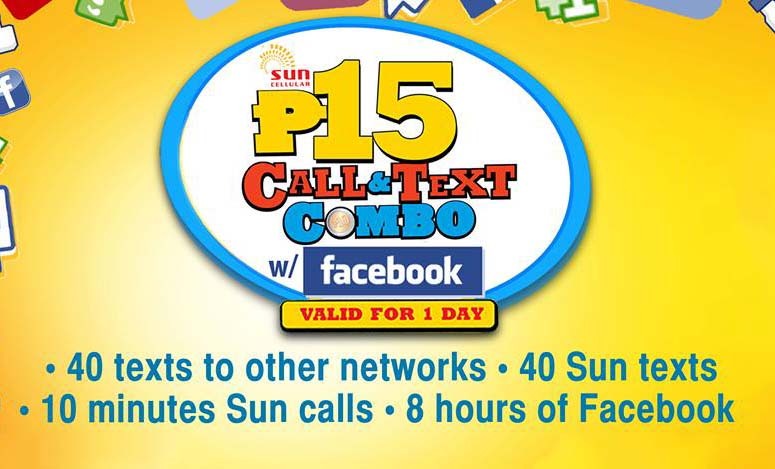 Here’s great news from Sun Cellular, you can now text your friends from other networks, call for about 10 minutes, like, share and upload photos on Facebook for only P15. 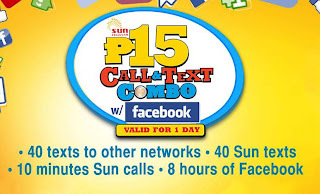 Their Call and Text Combo 15 promo is now packed with free 8 hours of Facebook browsing that is valid for 1 day. Sun Cellular added more fun to their current call and text combo promo, you can now socialize with your friends by replying them on Facebook, liking their status, share your photos and add comments to their posts. Just activate Facebook while you are registered to this promo by sending the code provided below. To activate Facebook on yourCall and Text Combo, just text FB to 247. This promo cost only P15 valid for 1 day, you can via load conversion by texting the promo code posted above. Or you can go to your nearest Xpress load retailer to avail this Call and Text Combo with added free Facebook.